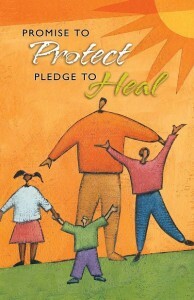 A time to recognize that each of us can play a part in promoting the well-being of our children and families. As your Bishop nothing is more important to my pastoral mission than to provide the utmost care for those who need it most. From counseling the needy to extending financial aid to caregivers, our Church and Diocese is committed to the physical, spiritual and social well-being of everyone we encounter. This is particularly true for the children we seek to support, guide and care for. It is important to me and our diocese that we mark the 30th anniversary of National Child Abuse Prevention Month by recalling and reinforcing our steadfast commitment to creating and maintaining safe environments for children in our schools, parishes and other facilities. The Diocese of Orange takes this task very seriously. We employ a comprehensive background screening for all adults likely to be in contact with children – already over 60,000 have been vetted. This process allows for the collection of a wide variety of past screening data, including extensive backgrounds checks and fingerprinting, and is designed to enhance already in-place diocesan policies. Our diocese additionally requires all clergy, employees, and volunteers to undergo Safe Environment Training. In 2011 alone, the Diocese trained 288 priests, 101 deacons, 1,630 teachers, 2,311 school employees and more than 19,000 volunteers. Our schools and Religious Education classes at parishes and diocesan centers also provide Safe Environment education for children. This procedure is suited to their age and level of understanding. In 2011, nearly 64,000 children participated in this critically important awareness program. Please join me in recognizing the tireless efforts put forth by those involved in the development and implementation of all Safe Environment initiatives. Keep them in your prayers and remember that care for others is a duty and a gift. By sharing our concern and becoming responsible for the safety and well-being of those who come into our care is a spiritual act we can be proud of, every day. The Catholic Church and the Diocese of Orange are deeply committed and remain vigilant in protecting and caring for children, our most cherished resource. The Church has worked hard to protect children. Much has been done but more needs to be done. Until abuse is no longer a part of society, the Church will continue its efforts to protect children, youth and vulnerable adults.